The fifth annual Making a Difference Summit series was completed in October at Auckland and Sydney, after starting off in Melbourne. The Making a Difference Summit aims to equip passionate, driven students with the skills and tools to create change within their communities. Read below for two of our awesome yTeamer’s, and current Yr 12 students, for their recount of the two summits. 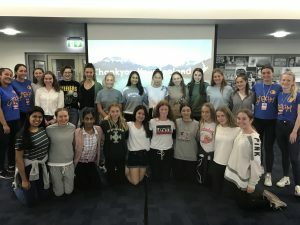 The Auckland MAD conference 2018, hosted by Diocesan School for Girls, was an awesome experience and provided a group of twenty-four passionate and driven girls from across New Zealand with the opportunity to come together to learn about the different ways we can make a change in our society. We kicked off day one of the conference by listening to the bubbly Elly Bray, Community Builder at ‘Thankyou’, detail the purpose and the processes behind the Australian social enterprise and why they are working to make a difference in the world. Elly taught us that to make headway in changing the world we must start meaningful conversations with anyone and everyone who may be willing to help us on our journeys. Another highlight of the conference was the networking session on the morning of day two. 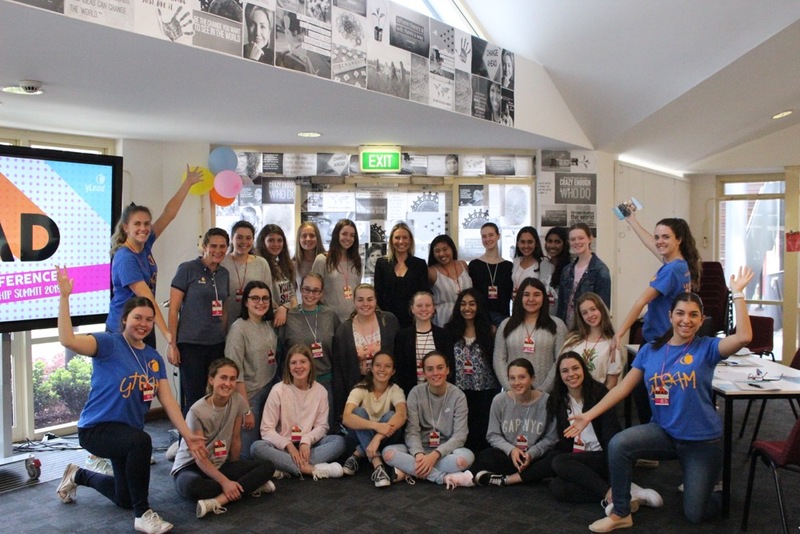 The girls had the opportunity to test their networking skills and quizzed the founders of four of New Zealand’s reputable charity’s and social enterprises – Yes Disability, Take My Hands, Wa Collective & Auckland Humanity Project. It was hugely valuable to share in the knowledge of some experienced change-makers and we learnt that having passion for what you do is one of the most instrumental factors in being successful in making a change. On the afternoon of day two we gained a deeper insight into the specific skills that we need in order to be successful in making a change in our societies. Our first speaker, Fatumata Bah shared her moving ‘why’ story and showed us that often it is the challenges that we face that our help shape our future. Secondly, we heard from Melanie Esplin, the corporate relationship manager at the Starship Foundation who shared her wisdom and experience on innovative and interactive ways to go about effective fundraising. Lastly, Genevieve and Jazz, founders of ‘Voices of Hope’ showed us the importance of harnessing the power of technology to spread our messages and gave us some helpful tips on effective ways to use social media. The inspiring speakers and sessions that we heard from and took part in on the first two days of the conference prepared us well for day three of the conference, which was the real highlight when the girls planned and pitched their own ideas on how to make difference in society using everything they had learnt over the conference. The groups came up with some well put together, creative and innovative concepts which emphasised the fact that you are never too young to Make a Difference. The MAD conference is an amazing program which provides girls with the inspiration and the tangible skills to get out into their communities, start meaningful conversations and to make a difference where it matters. These three words perfectly sum up my MAD experience. 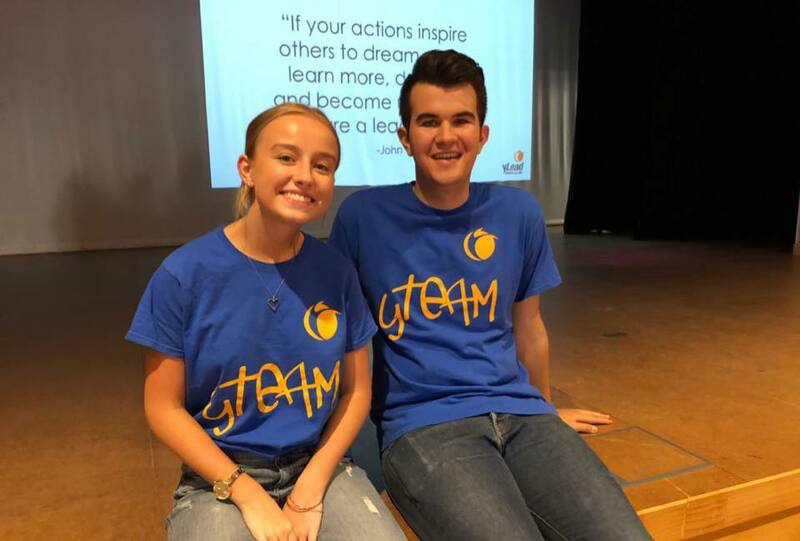 It was an honour to be a part of the yTeam at this year’s Making a Difference Summit in Sydney, hosted by Ravenswood School for Girls, and to share my leadership experiences to inspire younger future leaders. The biggest highlight for me was creating something truly memorable alongside the smiley Amy, the positive Jess, the supportive Kiara and the calm, cool, collected Bel! Day One – Leading the Change! It was very exciting to greet everyone as they arrived and to crown them with their MAD lanyard at the very beginning. All were quite nervous but excited for the program ahead, and us mentors were equally as excited to share these days with them. The program was jam packed with inspirational and empowering entrepreneurial women sharing their passion and leadership qualities in areas ranging from social work, opportunities for those living with a disability, gender equality, education and engineering. The first speaker, Lauren Shuttleworth, shared her story of creating a stationary line, Words with Heart, that aims to help educate students in developing countries. The panel of networkers included Angkor Flowers & Crafts, Project Futures, The Sweetest Gift, NADO and the NSW RSPCA. Day Two – Taking Action! 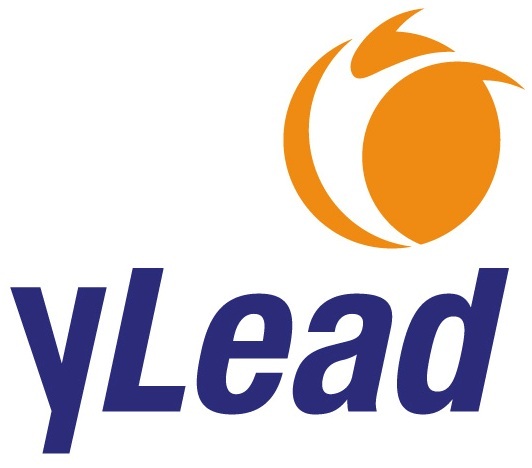 “Leadership is any action that makes the world I touch a better place”. This day was filled with many group and squad challenges, including the development of the very important squad chant and the Group Campaign workshops. It also saw three guest speakers come and share skills and advice on how to maximise the campaigns – Annabelle Chauncy, CEO of School for Life Foundation; Annie Townley, President of Power of Engineering; and Cindy Tan, Digital Media Manager. All the girls should be commended on their ability to create such intelligent and creative campaigns to solve problems in our community and schools such as Indigenous Education programs, mental health awareness, gender equality and aged care services. Another highlight was watching these girls present their ideas that will make the world a better place. Going forth, I will always aim to use my passion and dedication to make a difference in this world each and everyday thanks to this experience! The Making a Difference Summit is an incredible experience for young girls to not only learn about their own personal leadership style and strengths, but to hear from industry experts and be equipped with practical tools in order to create real change within their communities. If you would like to know more about the event, click here for more information.